I picked up a Midway 12 in 1 on Facebook Marketplace, recently. Well… in my defense, awhile back I picked up one of those retail Konami Vertical multis awhile back. These cabinets have super-bad reputations for being flimsy and.. bad. The thing is, the Vertical Konami variant has a pretty bitchin’ little cabaret-sized VGA monitor that supports a surprising range of resolutions and frequencies. Mine, pictured here in my upstairs closet, has an Pi-MAME config and is great for discovering and re-discovering classic vertical games. You know how like Picasso had a Blue Period? Spoiler alert, maybe January 2019 was my Arson Period. Well, KLOV is pretty clear on the Horizontal version of the cabinet but I didn’t listen. I figured - haters gonna hate, right? Well, the haters.. were right in this case. In my opinion.. The machine wasn’t really maintainable and of course it is cheaply made compared to commercial arcade cabinets. The colors were washed out on the monitor (cough: TV) and there are OSD menus you can use to tweak the appearance. The issue is adjustments and the IR Receiver are on the front of the monitor behind the plastic surround. As I started trying to get the monitor out of the cabinet to make adjustments, I was greeted with the fact that the numb-nuts that built the game, glued support blocks over top of screws. Screws… that need to turn… to get the monitor out..
Firepit. Meet P.O.S. P.O.S, meet Firepit. Typically, not a wasteful person. I did pull the doors, parts of the side art, the game board, overlay and controls, anything I deemed as “potential wall-hanger” and plastics and metals. If you read this and need parts for your cabinet, reach out to me via Private Message and they are yours. 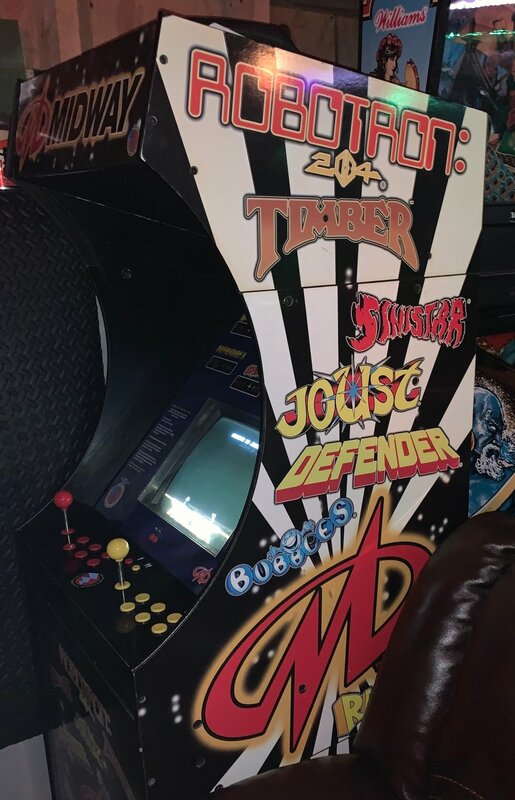 I noticed the cabinet sides reminded me alot of an over-sized bartop kit. I could see a far-away project of using them to create a MAME system or something. The monitor (ahem: TV) I pulled and may end up using with my Atari 2600 or as a tube-swap candidate for a cabaret down the road. Just because it is cheap and convenient, should you really still buy it?